Just pull Mpow out from your pocket,then snap! When you want to snap your picture, just click the camera button shortly and lightly ,you will feel a strong feedback force, and this will brings a good using experience to you. 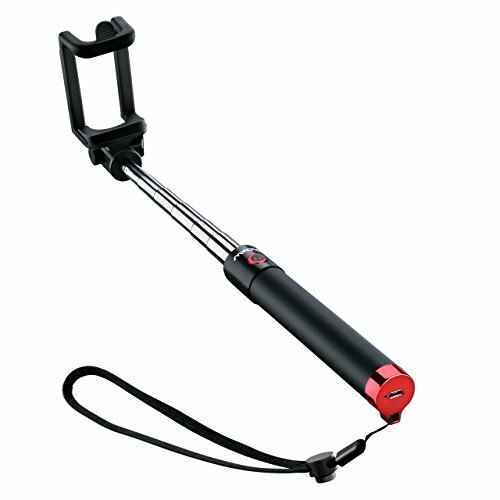 The exquisite handlebar of the selfie stick gives you a perfect holding feeling due to its matte surface. When holding in hand, you feel soft in hard, while clingy as well,so the monopod won't fall off your hand.